They do now. Tito’s, founded in 1997 under the then-ridiculous proposition of a Texas-distilled “handmade vodka,” this year became the top-selling spirits variety in U.S. stores, surpassing more established players like Jack Daniel’s Black Label and Smirnoff Red Label. Once only available in Texas, Tito’s is now sold everywhere from United Airlines flights to big restaurant chains like McCormick & Schmick’s, which recently featured a “Mexitini” cocktail made from Tito’s and triple sec. At U.S. retail stores, sales surged 40.8 percent to $198 million in the 52 weeks ending Nov. 5, according to IRI data cited by Wine & Spirits Daily. In bars and restaurants, Tito’s now commands an impressive 7.1 percent share of the fragmented vodka market, up from 1 percent in 2011, according to Technomic. The brand’s growth, while remarkable, is not the only reason Tito’s is Ad Age’s 2017 Marketer of the Year. Its path to the top is an example of the new marketing battlefield in which upstart brands are successfully taking on giant consumer packaged-goods conglomerates, often by eschewing big-spending ad techniques. 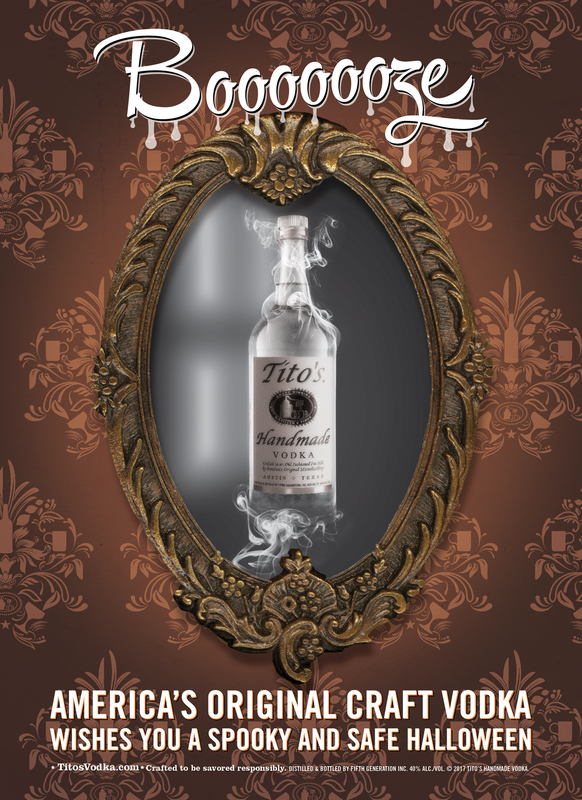 Tito’s has not run a single TV ad in its 20-year history. Instead, it has relied heavily on word-of-mouth and scrappy marketing like its “Vodka for Dog People,” a philanthropic effort that has included events like Yappy Hours and Puppy Pawties to raise money for organizations like no-kill shelters. It has, however, spent signficantly on print and outdoor advertising. “We are kind of old-school,” Portwood says, noting that the brand remains loyal to magazine ads. Recently, the company has run ads in titles as varied as Rolling Stone and Popular Mechanics.